Equifax Executives’ Stock Sell-Off: Adding Insult to Injury? Home » Blog » Equifax Executives’ Stock Sell-Off: Adding Insult to Injury? The bad headlines continue to roll in for Equifax, the credit reporting giant currently at the center of an investigation into a massive data breach which compromised sensitive personal data of 143 million Americans, potentially subjecting them to a lifetime threat of identity theft. 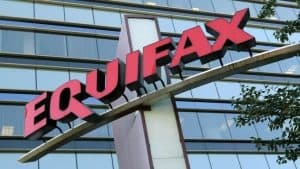 As the reader is likely aware, Equifax has recently been in the news due to a data breach which gave hackers access to sensitive information such as the names, Social Security numbers, birth dates, addresses, and even driver’s license information stored in the company’s digital files. Making matters worse, reports indicate that Equifax had knowledge of the vulnerability of its software as far back as March 7, and even a software patch which would fix the problem, yet failed to act. By mid-May hackers used the vulnerability to access Equifax’s data files. Cybersecurity experts say that a typical bank would have patched the vulnerability “within a few days,” making Equifax’s two month delay inexplicable and inexcusable. Adding further insult to the consumer’s injury, reports have now surfaced that the Justice Department is investigating Equifax executives’ sell off of millions of dollars of their stock prior to the company’s September 8 public announcement about the massive data breach. Just days after the company was informed of the data breach on July 29, Experian’s chief financial officer, John Gamble, its president of US information solutions, Joseph Loughran, and its president of workforce solutions, Rodolfo Ploder, each sold off their stocks in the company. Since news of the breach became public, Equifax stock has dropped over 35% and continues to fall. Because Equifax is one of the three major credit reporting bureaus in the United States, a high percentage of adults in the US have likely been affected by the breach. To find out if they have been affected, consumers can visit the “Check Potential Impact” page of the Equifax Security 2017 website and enter their last name and the last six digits of their Social Security Number.